Senior HR Consultant at Voltedge Management Ltd.
Fredericka Sheppard, Joint Managing Director and Co-Founder of Voltedge Management in 2011, is a Chartered Member of CIPD and an IMCA Certified Management Consultant (CMC) as well as being a Board Member of the institute and a member of the National Executive Council of the SFA. A graduate of UL and NCI in Human Resources Management, Fredericka has been working in the field of Human Resource Management since the mid 1990’s since then has held a number of Senior HR Management roles with a range of organisations from multinational start-ups, to indigenous Irish companies and also with some young software/IT organisations. 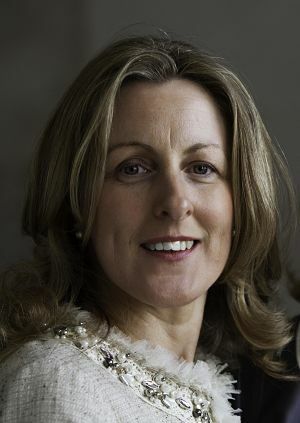 Fredericka is now working as a HR Consultant and Advisor to organisations of varying size and was a member of the Equality Authority’s Panel of Experts and is a current member of the Enterprise Ireland Panel of HR/OD Consultants. She has managed a number of international HR assignments in addition to recently completing some leadership and employee engagement projects. She has extensive experience in change management, organisational restructuring and managing employee relations issues. She has a broad level of experience in all HR related areas such as employee motivation, recruitment, employment law, performance management, general HR operational practices and developing HR strategies for companies.